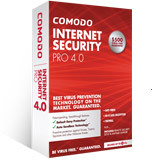 Advanced Endpoint Protection 1.6 is integrated with Comodo Internet Security, rated #1 in proactive security by Matousec.com, an independent security testing authority. Advanced Endpoint Protection 1.6 combines the unparalleled malware prevention of CIS software together with powerful central administration features for businesses with dozens to thousands of PCs. The sixth annual HostingCon, the world's largest conference and trade show serving the hosted services industry will be the next targeted event for Comodo in July. HostingCon 2010 will be held in Austin, Texas, on July 19-21 at the Austin Convention Center located in the heart of the Texas Capital. HostingCon attracts web hosts, data centers, software-as-a-service (SaaS), ISPs and other infrastructure providers from around the world. In 2009, HostingCon attendees represented more than thirty countries. Buyer Trust and other Comodo Internet security solutions will be featured at the show.